The Slowly Boiled Frog: Seriously - even in Alabama? 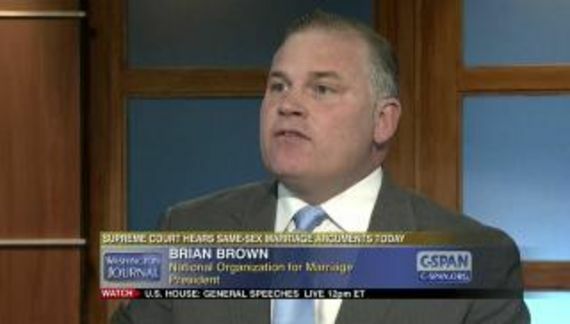 According to American Family Association's news blog (AFA is a certified hate group), his organization is arguing that Article 6, Section 2 of the U.S. Constitution states that laws and treaties are the “Supreme Law” of the land. “It does not say court decisions,” he added. Sure. Some fourth-rate lawyer in the Bible Belt has invalidated just about every landmark decision of the Supreme Court. Alabama can re-segregate its public schools and ban interracial marriage again. Those accused of crimes don't need no stinkin' Miranda rights in Alabama. Nor is the state required to provide them with counsel (to the extent that Alabama even does that). Then there is Cooper v. Aaron which holds that the states are bound by the decisions of the Supreme Court and cannot choose to ignore rulings that they do not like. Cooper addresses the same idiotic argument made after Brown v. Board of Education desegregated schools. The Court held that Brown was the law of the land because the Supremacy Clause of Article VI made the US Constitution the supreme law of the land and Marbury v. Madison made the Supreme Court the final interpreter of the Constitution. There is an upside to Eidsmoe. Now I can enjoy the moment of sending a snarky email to Foundation for Moral Law.